I really am Freelancing now! So its been a super busy couple of weeks. Ive been to Business Gateway a few times, Ive been fielding work requests, and I went for a sort of interview, not for a job but to attend an entrepreneur workshop. Super interested, it will be 2 days a week for 12 weeks and I will be in Cohort 1 as its the first time its being run (another Cohort?). I don't want to say too much at this stage as its just in the early stages and I may not get in or it may not get funding (it will be free if it does). Heres hoping it does as it should be a good experience and from what I have seen of the curriculum it will be great for Udny Solutions. Speaking of Udny Solutions. In other news and this is a biggie… Udny Solutions received its first job last Friday. Hurray! we are up and running. Its not massive but its a start and Im feeling really privileged at the opportunity. The job is to develop a new website for a local organisation. A simple brief that needs it to be smart, colourful and trendy, and I have to say I have spent all week working on it and have absolutely loved it. I set myself up in my study at the beginning of the week and have lived the freelance web developer life there since Monday. My boys are packed off to school for 9:00 am and I just start. I worked through till lunch, quick sandwich and then back to it till 3:00pm till I receive the boys back from school. Once they are fed, homework done, they are bathed and off to bed, I have been going back to it for a couple of hours. I guess this is what work life balance is all about. I sent off the first draft of the site last night to my client and the feedback came back positive and they are chuffed to bits with what they saw. I will get full feedback including some changes next week. I still have some things to do/update and complete my design document that I created . Yes old habits die hard, I had to create myself a Software Design Document for the site as I worked through it. Mainly keeping track of all the design elements, login, passwords, and configuration choices I have made. This document will let me recreate the site in the event of a disaster, or more importantly it gives me a good template for the next site. Acting as a prompt and memory jogger for all the things I need to do behind the scenes. The postman also brought a good package on Tuesday. I had ordered via Amazon Prime a Digital Pen and Tablet for use with my Mac. Ordered on Monday and delivered on the Tuesday, no fuss and I was home to receive the package. The plan was rather than buying graphics and icons for my websites I would create my own (see above). And I have to say this pen and tablet was really cheap, but a real game changer in terms of drawing things in a graphics package. The package I use is Autodesk Graphic, also cheap but with all the functionality I need. The pen gives more control when drawing than can be achieved with a mouse. I found myself quickly getting into the flow and swapping between the mouse and pen to make graphic elements for the website and I was really pleased with the results. 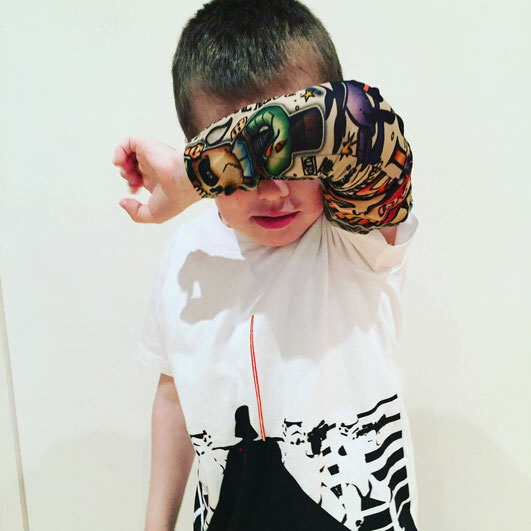 The postman also brought fake tattoo sleeves for the boys, I wont say why or bother linking these but hey young boys want things that young boys want. In other news, I had to dig out my old windows PC (what? Boooo!). A friend from way back has asked me to look at helping him provide support with a SCADA (Supervisory Control and Data Acquisition) software package he sells. It runs on a windows environment and not on Mac. So in going back to the dark side, I setup my old windows Dell Inspiron in my study. I know there are simulators out there to run Windows on a Mac, but I think this is a step too far at this stage. If it takes off and I have to go out and provide field support I guess I will need figure this out, or even dare I say it buy a new windows laptop. Anyway I need to install the software and have a play with it to see what is involved. I am looking forward to this opportunity too, web design may be cool, but I still have a soft spot for SCADA. So spring is almost here and things are looking great. Till next week. 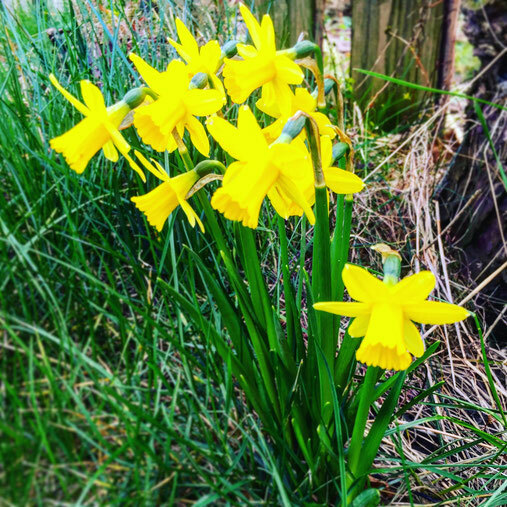 Thanks for reading and massive thanks to the people I have met, been in contact with and worked with this week, and here is a pic of some daffodils from my garden. Yea I can go to the garden middle of the morning on a Friday. If it was warmer I could take my Mac book pro out there too. The postman also brought a wifi extender which makes this a reality for the summer.